Any bad news or what? 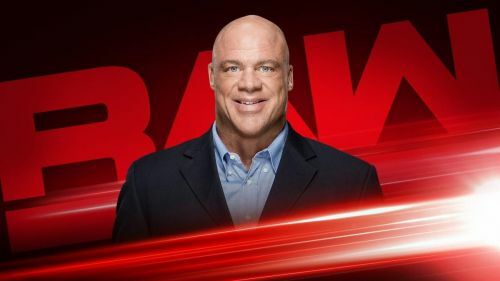 WWE Raw emanates from Moda Center in Portland, OR and the show has some great returns including the likes of Kurt Angle. Another possibility is that some WWE Legend will return to aide Jeff Jarrett in his storyline against Elias. While these are just possibilities, I have been a firm believer that any entry or return during the time of Road to WrestleMania means something wonderful is in store for the fans. From an impromptu match to a career-defining injury or a fight along the same lines. 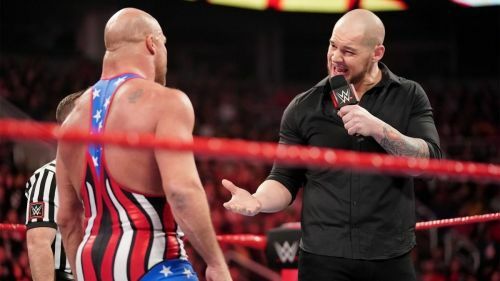 With so much in place and a lot more to do, here are 3 reasons why I think Kurt Angle returns to Raw this Monday Night. Baron Corbin has become inconsequential over the weeks, and his character has also faded. While there are rumours that he will have a new look and storyline soon, the fact that he had issues with the former Olympian during the latter's term as Raw General Manager cannot be ignored. After taking charge, Corbin invested more time in inflicting pain on his adversaries, including Kurt Angle, there is just one question that needs to be asked: Will Kurt take revenge? Although Angle was a part of the troop that helped take Corbin out of power, it was his along with other wrestlers' assist during WWE TLC that won Braun Strowman the match and got him a title shot with The Beast Incarnate. While the Monster Among Men wasn't able to redeem his moment, he also had the common enemy, and it seems like Kurt will not take any interruption by The Lone Wolf in good stride. These two are solid in the ring, and a match between them will be phenomenal. After all, no one hates a good fight.